Home News NURTW Chairman, Saheed Arogundade sentenced to death by hanging. NURTW Chairman, Saheed Arogundade sentenced to death by hanging. The Chairman of the National Union of Road Transport Workers (NURTW), Boundary/Aiyetoro unit area of Lagos State, Saheed Arogundade, has been sentenced to death by hanging by the state High Court on Wednesday, 6th February. 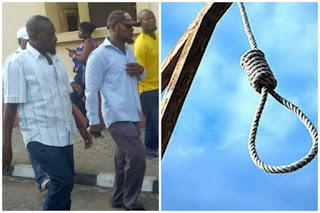 Saheed Arogundade will be hanged for murdering a police officer, Gbenga Oladipupo on April 10, 2010 around 8.ooam at the Gbara junction of the Ayetoro area of Ajegunle, Lagos. Mr Oladipupo was stabbed to death by Arogundade and his cohorts while on his way to visit his mother at Olayinka street in the Ayetoro area of the state. According to the second prosecution witness, Ismaila Lukman, who was the motorcycle rider that was conveying Oladipupo, “The deceased called me to give him a ride to his mother’s house when four men approached us and dragged the deceased down from my motorcycle." He was found guilty of the crime under of conspiracy and murder and sentenced by Justice Olabisi Akinlade of the Lagos State High Court. "I hereby pronounce sentence of the court upon you, Saheed Arogundade, that you will be hanged in the neck until you’re dead. May God have mercy on your soul." Justice Akinlade also discharged and acquitted five others: Mustapha Layeni, Adebayo Abdullahi, Seyi Pabiekun, Sikiru Rufai, Yusuf Arogundade for lack of sufficient evidence.